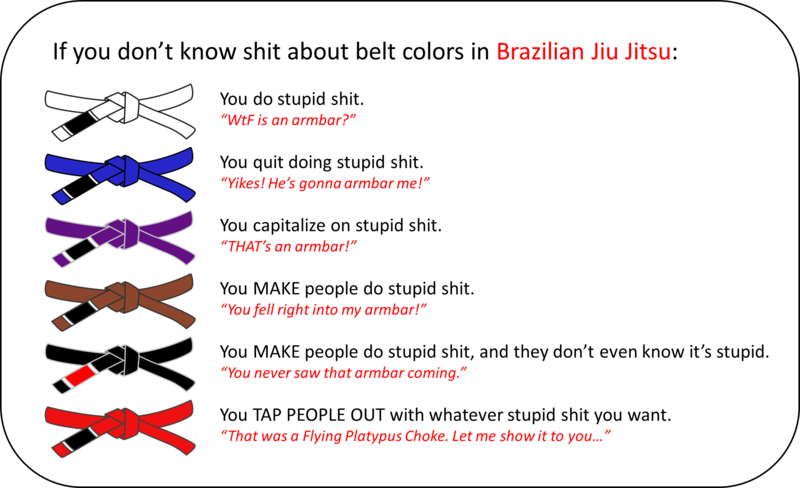 Wondering about the different belts in Brazilian Jiu-Jitsu? Criteria for earning the rank? What the colors mean? Then this probably won’t help you.